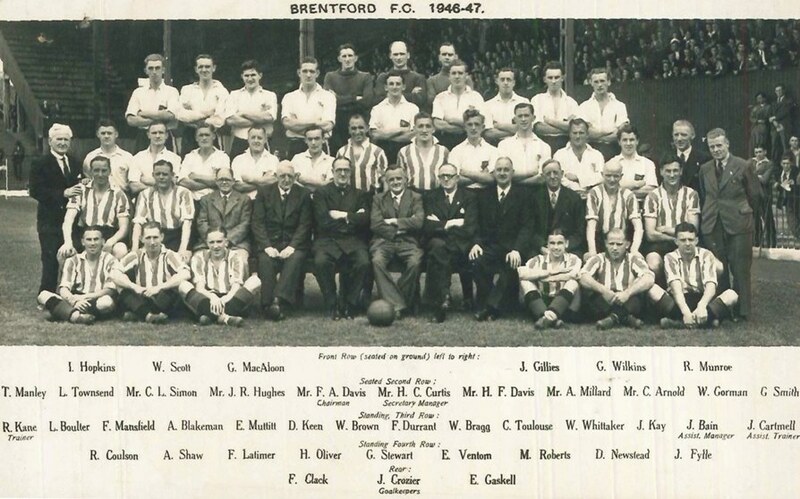 Peter Stuart provided this photo which shows the team in the Brentford ground. 33 men are players, showing two types of kit - 12 in the striped shirts, 18 in white shoirts (did Brentford have a resevvrve team?) and three goalkeepers. The remaining ten men are in suits; seven are titled 'Mr.' including the Chairman and Secretary Manager; the Assistant Manager, Trainer and Assistant Trainer do not merit a 'Mr'. The names have been added to the sporty people index.